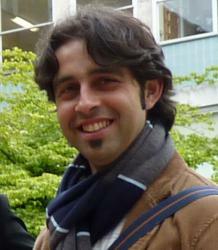 Dr Álvarez López obtained a BA and an MA from the Universidade de Vigo (Spain) before moving to the University of Manchester where he completed a further MA and a PhD on Medieval Palaeography. At Manchester he taught a range of modules across the departments of English Studies, English Language and Spanish. In 2011 he joined the University of Exeter where he has taught different levels at the FLC and DML on a part-time basis. Aside from teaching Spanish language at Exeter, he has also held reseearch-based positions. Between 2011 and 2013 he was Palaeography Project Officer at the School of Advanced Study (University of London) as part of InScribe: Palaeography Learning Materials. Since January 2015, he has also held a position as Research Assistant at the AHRC-funded project The Conqueror's Commissioners at King`s College London. Fran's research interests and publications look mainly at the production, distribution and use of manuscripts in early medieval England and Spain. He has also worked on bilingual manuscripts and Benedictne monasticism in Anglo-Saxon England.